ED FRINGE SELL-OUT SHOW 2018! TICKETS HERE! 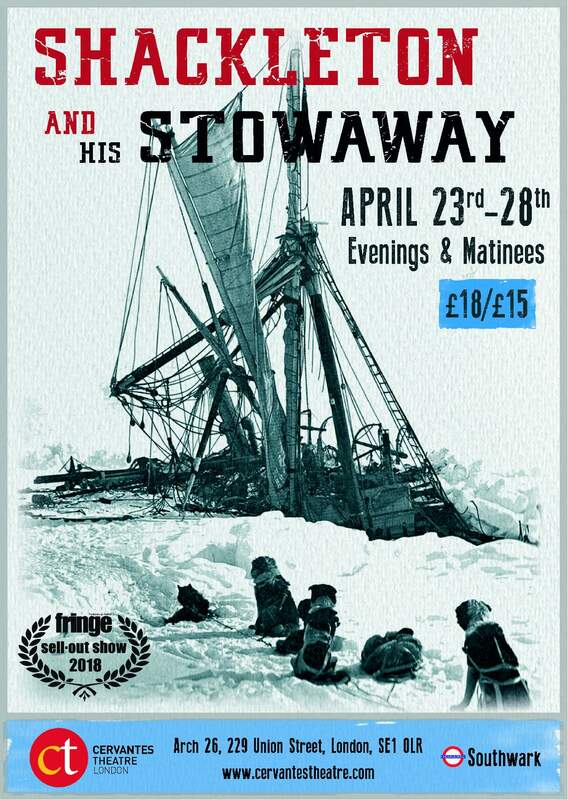 Shackleton and his Stowaway is based on the real events of the legendary Endurance expedition to Antarctica. It follows the misfortunes of an 18 year old stowaway aboard. Initially, he’s in complete awe of Shackleton. But this fades by the time Shackleton has gotten them trapped in the polar ice pack – even more so when Endurance actually breaks up and sinks. This leaves them adrift on the ice, hundreds of miles from civilisation.